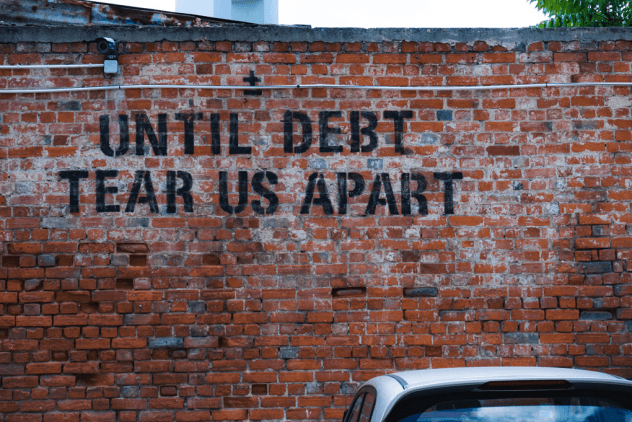 Is debt something that you are experiencing? Do you have too little paycheck for too many bills? Do you want to get out from under debt? Are you and your spouse constantly arguing about money? If you answered yes to these questions, you can get help here. A series of posts will written to help you out. The steps to get out of debt are few, but the process is long. Remember you didn’t get into debt overnight, so don’t expect to get out of debt overnight. If you are a Christian, the bible has plenty to say about debt and money. One verse that is appropriate is Proverbs 22:7 – The rich rules over the poor, and the borrower becomes the lender’s slave. There are over 2000 bible verses that deal with money. God does not want us to be in debt because then we are unable to help others. If you are not a Christian, these posts will still help you. Yes, scripture and references to God will be included in the posts. There are steps to getting out of debt. Step 1: Remember that God owns everything and you are his steward. Transfer everything to God. Pray for His wisdom. Step 2: Gather all your credit card statements for the month. You don’t need the prior statements. In fact, if you don’t need them, shred them. The current statement will have all the information you need. If you have a car loan, bank loan, mortgage, etc. gather all the current statements as well. Your stack of bills doesn’t look as bad now. Does it? Step 4: Now, it’s time to start creating a spending plan. Yes, it is a budget. Remember that a budget is not a constraint. It is a way to tell your money where to go. Step 5: For the next 30 days, take a small notebook and write down every single amount you spend. For example, you go to a store and buy a candy bar, water, soda, etc. Enter the item you bought, the date, and the amount. At month’s end, see where those amounts fit in your budget. Then enter them. This will give you a very good idea of what you spend your money on. Step 7: Begin saving towards an emergency fund. Initially, strive for $1,000. Then, you will want to have eight to twelve months of living expenses. PrevPreviousI’m 29 Years Old With Nearly $1,000,000 In Debt!